Turbosmart Silicone - Clamps and Accessories UNIVERSAL - MiataRoadster - Stay tuned with MiataRoadster! 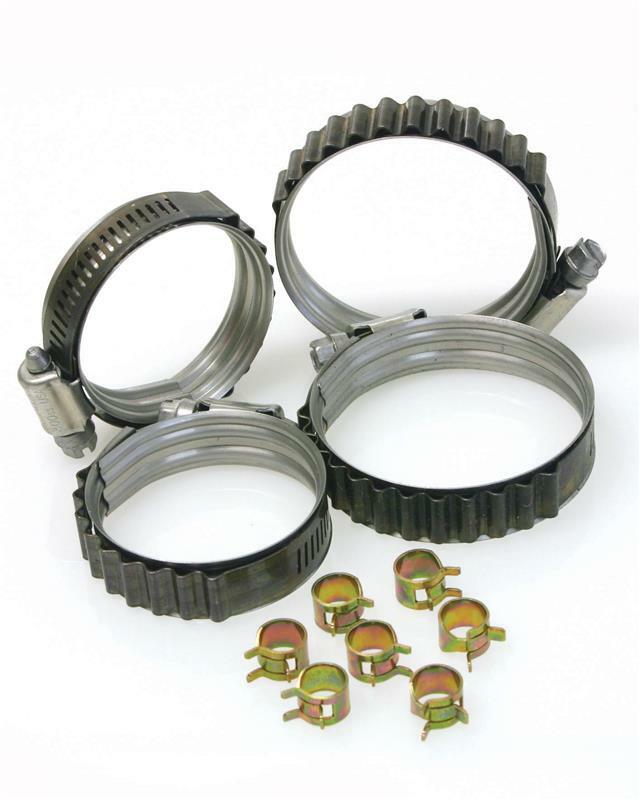 A constant tension stainless steel worm gear clamp designed to compensate for the effects of thermal cycling and/or compression set of hose. Turbo Seal’s convoluted spring action outer-band solves this problem and features a unique innerband profile to provide superior sealing pressure via its two raised ribs and the chamfered edges eliminate damage to the hose when tightened. Turbosmart Silicone Hose range is supported with a comprehensive line-up of accessories. We aim to cover all the most popular items in our range, however, if the part you’re looking for is not available, please let us know.